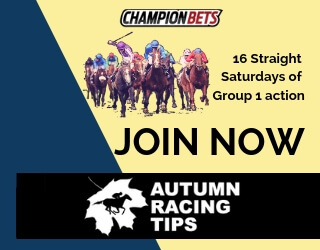 Our ‘For and Against’ series has focused on Australian thoroughbred and harness racing punters in recent weeks, so today we wanted to broaden our horizons with an expert sports punter. Dan Weston is the founder of Tennis Ratings which is a fantastic resource for traditional (pre-match) and in-play betting. Today’s Guest: Dan Weston – Tennis Ratings Dan will be a guest speaker at the inaugural Matchbook Traders Conference in London next month. If you’re interested in learning from sports modellers, traders, mathematicians and programmers you can use the promo code TRADERSCON50 to claim a big 50% discount. 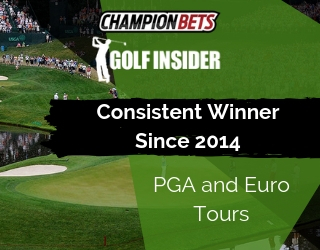 Dave Duffield: Always good to chat Dan and often it’s about specific tournaments, but today I wanted to get a different perspective on a series we’ve been having recently which covers both form analysis and also staking. Your background and your expertise is tennis…. would you describe yourself as a data reliant tennis analyst, or more gut instinct and experience? Dan Weston:Absolutely completely based on data, I don’t really use gut instincts whatsoever. I’m pretty much a slave to the numbers, I’ll use them pretty much exclusively. I would say that there’s no real situations where you can’t use data. The only time would be if a player just hasn’t played enough matches and then I would leave the match alone, I wouldn’t even get involved with it. I find that with using gut instincts and lean mentally towards a player, you’re creating the dangers of gamblers fallacy where you remember the significant events of the past. Sometimes because they are significant, or you remember when a player blew a number of match points, or something like that, it tends to stick in your mind and you think that player is vulnerable in that situation. Where it might just be a one-off, but because it’s a notable event it sticks in your mind, rather than all the times they served out to love and didn’t even think about it twice. So I would look at the data rather than my gut pretty much always. Sometimes the gut is often correct as well. For example, last night in Quebec, Gibbs threw it away again, and she actually lost the match after winning the first set 6:1, having a set and break-lead in the second set, three match points in the second set and a break-lead twice in the third set. I think she traded a very low 1.01, 1.02 kind of price. My gut would have led me to believe that Gibbs was vulnerable as a front-runner, and that’s completely backed-up by the data as well. For example, like last year with Gibbs against Pavlyuchenkova in the US Open when she just didn’t want to get over the line in the second set at all. Ended up losing on a tie break before finally winning in the third set. She’s no stranger to these low price turnovers. My gut would have said that and the data backed it up, but because I’ve got the data I’d rather use that anyway, you know, it’s there, it’s concrete, it’s absolute. Dave Duffield: In that situation when you talk about data, are you talking about break-point conversions and match point conversions and actually winning matches where they’ve held match points? Or are you talking about their performance versus say in-play prices from Betfair or MatchBook or the like? Dan Weston:There’ll be a lot of ways that I’d look at it. What I tend to do for my own trading is I’ll have a kind of a base data thing that I’ll look at, which would generally be performance when leading in a match, or leading in a various facet of a match. For example, if they’ve won the first set, how do they perform by taking the first break of the second set? How frequently do they do that? Are they consistent, do they press home an advantage? Do they struggle under the pressure? Then also, much more importantly for me, would be how they perform when they’re a set and break-up. That gives me an opportunity to lay at a really low price in play. If a player like Gibbs, it was Rodina last night as well, but she actually did okay, she served it out pretty easily. Rodina is quite week as a front-runner as well from set and break. Gibbs I’ve got here since July 2014, I don’t have a lot of data on her, but she’s not really a good front-runner. She’s lost a sort of low price lead about 60 percent of the time, which is about 15 percent above the WTA average of 45 percent, so she’s pretty weak. You’ve got players like the standard bad servers like Beck and Koukalova that everyone knows about, they’re horrible to take. Front-running they give up leads 70 percent of the time, plus. The data there- it provides me with a kind of a benchmark to look at a situation. Then I’ve got a number of competence/confidence factors afterwards that I’ll also adapt to whilst staking or to have more confidence on a position or to strike a position out. For example, with a projected hold of a player because I want to know that they’ve got a low chance of holding serve in a given situation, because if they’re laying on a set and break-up, but their projected hold is very high, then obviously that’s kind of counterproductive. There is a number of other factors as well. I look at quite minute, in-play data, as opposed to the more generic data that you can find about break-point conversions and stuff like that. Dave Duffield: You said you’re completely reliant on the data, does that spit out a rated price and your backing overlays? How do you then turn good data into likely bets? 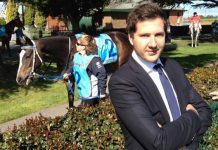 Dan Weston:Obviously that’s something I also factor into the in-play pricing, and that’s not a confidence factor that I would look at as well. I can calculate the model price of a given match before the match starts by looking at the deviation between the two players, projected hold percentages. This changes over a sort of tournament style, for example. Looking at ATP for example, a player with an X projected hold advantage over their opponent will have a slightly lower price in a Masters 1000 than they would in a basic 250, because the favourite’s success in a Masters 1000 is a lot higher. Generally you don’t really get tanks and players throwing hissy fits, spitting their dummy out and stuff like that. It’s more consistent, the better player tends to win more in the higher value tournaments. Which is logical really because the players want the ranking points, they want the financial incentives for doing well in that tournament. Whereas a big name player in a 250 might just be there because he’s got a nice fee for turning up basically. He’s not necessarily that incentivised to do well whereas, obviously in a Masters or a Slam he is. That’s why the favourites tend to do better in those tournaments. Dave Duffield: How do you handle incomplete data and, related to that, improvement from young players and how likely they are to be able to take that next step? Dan Weston:This is something that I’ve spent a lot of time on. I would say that the general public, and even people involved in tennis at a very high level, I’m talking about commentators, or agents or sponsors, even player coaches, et cetera. They don’t understand that sort of thing at all. It’s actually pretty straightforward to profile a player when they’re sort of 18 or 19 years of age, and see how they’ll develop by the ages of 22, 25. You can have a look at players historical data, players who are older now, and sort of back fit it to see how those players would have improved from those different age gaps. Once you’ve got a big enough sample you can work out the highs, the lows, the averages, et cetera. You can work out where a player is likely to be. That’s why I’m really confident that Borna Coric is going to be an elite level player because his stats, as an 18 or 19yo are at that level where the improvement should be enough to see that the worst case scenario, he’s going to be a top ten player. Whereas, I think I mentioned quite controversially on Twitter, that Nick Kyrgios is not really at that level. He could be a top ten player. He might be a top five, six player, but I think he’s going to struggle to win Slams. I can see him having a kind of similar career to Milos Raonic, for example, that sort of level, as opposed to an elite player. Dave Duffield: I was going to mention him because last time you were on the show there was a fair bit of Kyrgios hype, but you just dampened that down a little bit. Dan Weston:Yeah, I haven’t really seen a ton to change my mind really since I last spoke to you. His return game is not good enough. You need to have a decent return game to win a Slam, it’s that simple. That’s why it wouldn’t surprise me if a player like Raonic doesn’t actually win a Slam. Dave Duffield: Just moving on to market intelligence. Some people I speak to have a percentage of, more so how they stake their bets, is reliant on what the market is telling them. Maybe it’s different in a 16 horse field. How do you handle it in a two horse races, or a two player race? In particular, I know there are some times in lower grade events where the odds actually don’t make sense, so it might be a massive overlay on all the data that you have, but actually at times there can be other factors in play. Dan Weston:Well the market is very smart, there’s absolutely no doubt about that. For me, if there’s a big discrepancy between my model and the market price, particularly ATP level, I’m starting to get worried because I’m thinking have I missed something. These 30,40, 50 tick price differentials between models and markets don’t really happen, it’s super rare that that’s logical. There’s usually a reason and it might well be that there’s an issue with the data because the sample is not big enough, or there might be an injury or a motivation issue or something that I haven’t been able to source and take into account. At Challengers, I would say the lower you go down, the challenges- you probably can get away with it a little bit more. The reason being because the player’s is more un-exposed, people don’t know their level so much, it’s not so well known as your Djokovic and your Federers of this world. A two hundred ranked player is not going to be as well known to the vast majority of bettors as the top level player. Even so, you’ve got to be on your guard because obviously you all know that occasionally there are suspicious matches at that level. Those matches are typically very easy to highlight anyway because in-play they have an absolute ton of money matched on them in the exchanges. The prices just don’t make any sense in-play at all. I don’t really want to mention names, but there was a pretty well known one last week where a player was 5:2 down in the first set and he was about half the price of what he started. Dave Duffield: I did see some discussion around that, how often do those players actually get found out and get suspended or kicked out of the game? Dan Weston:Not as much as they should. At the moment it’s a bit of a source of frustration really, because I would personally rather that all those players were ousted and we had a fair playing field. There’s a bit of a discrepancy between tennis and other sports at the moment. In snooker, for example, I understand that a player can be banned pretty much based on market intelligence and the market movements of the player in various scenarios. Whereas, in tennis they seem unwilling or unable to use market data to make those proofs. I think that they should because I don’t think that the authorities know how incriminating the exchange data actually is. Dave Duffield: That comes back to a question I’ve been asking of each of the guests in the series we’ve been running – is your preference bigger markets where there’s plenty of liquidity and are more than likely more efficient, so a smaller edge? Or smaller markets where you’ve got a bigger edge on the market? Dan Weston:It’s a tough one really. I like low profile matches because I feel like I’ve got an advantage in knowing more about the lower profile players and their tendencies than the average trader and punter. Like I said to you earlier, I kind of know how to adjust Challenger data to ATP data and kind of relate the different tours to each other by working out how much a player’s stats would decline from Challenger level to when they move up to higher opposition quality at ATP. I feel like I have an advantage over the market for the lower profile, less known players. Obviously liquidity is more of an issue, particularly in Challengers as well. It’s a bit of a catch 22 situation, to some extent. Frequently in high profile matches, like for example, a Slam final, there’s obviously incredible liquidity, really high volume, but there might not be any entry points that I feel will be viable. That was the case for the Djokovic/Federer match the other day. Just before the match, I’m looking at the stats, I don’t really think there’s much opportunity to get involved, whatsoever. That’s quite frequent for high profile events because the players are very well exposed, market knows their tendencies, and most of those times laying a top player at sort of set and break-half or two sets up in a Slam match, they’re not that weak in those situations very often. You don’t really have those opportunities to get involved there either. It’s a difficult one, pretty much then I’m looking at picking up in-play data to have a read on a player, as opposed to being able to have a concrete script before the match starts. I would say the advantages of liquidity are great, but sometimes they just don’t provide the opportunity to get involved either. Dave Duffield: Disregarding the in-play for a moment, for the pre-match betting that you do, is your preference to bet early, not long after the prices have gone up? Or to bet late when you’ve got all the information you need, whether that’s latest injury info, weather, anything like that? Dan Weston:It’s a difficult one. Obviously the market is quick to adapt if the prices are on, like I said earlier, the market is pretty smart, it’s not stupid at all. As the markets open, the limits tend to be lower anyway, so you might not be able to get a huge amount of money on early, once the prices are released immediately anyway. My research shows that backing big players that have steamed in the market or drifted heavily, has negligible returns either way when you look at the closing prices. The market actually adapts really well in that situation. What I’ll do is I’ll prepare my data at my convenience and then I’ll take a view from there. Once I’ve done that, then I’ll act. I won’t specifically make an effort to price a match up before the markets open. Personally I don’t have time for that really anyway, I’m too involved with other things. So I’ll do it when it’s ready for me, then I’ll go from there. Usually that tends to be – well it depends on the time zone and the tournaments – but it tends to be, for Far East and Asia I’ll do it night time UK, and for everywhere else I’ll do it first thing in the morning UK. That gives me plenty of time usually to get on anyway if I want to and kind of prepare a trading script, or look at pre-match positions if necessary. Most of my action is probably in-play as opposed to pre-match anyway. Dave Duffield: How do you handle your own bankroll? Do you have a maximum amount you’ll ever expose on an individual match? Dan Weston:Definitely. My background previous to getting involved with sports was poker, online poker primarily. Online poker has a very kind of strict guideline for bankroll management. I would say that that background has really helped me. I used to primarily play six match cash games, eight tabling at the same time. So I’m exposing quite a lot of money over eight tables. However, I would need to have 40 buy-ins at that level to play that stake. For example, if I’m playing $2 or $4 lines, that’s a buy-in of $400 and I’d need to have $16,000 in my account to be able to play that level. I’m looking at 2.5 percent of my bankroll as a stake. I think that’s quite appropriate for betting and trading as well. Personally I work to about three percent max loss of my bank per bet or trade. That’s a pretty solid strategy. You’re definitely not going to get broke fast doing that. If your entry points are wrong then you’re going to struggle eventually, but you’re not going to go bust in a week, put it that way, especially not betting pre-match. It enables things to be more solid, you’re not going to have really volatile profit and loss, but it’s going to be a bit more smooth. I prefer that, I prefer not to have to deal with mental headaches, to be fair. Definitely I wouldn’t recommend more than five percent. Dave Duffield: How often would you adjust your bank? Dan Weston:You can do it at any kind of frequency that you want really. Say for example your bank is a thousand and you’ve got it up to 11 hundred in a week, well I don’t have an issue with adjusting that. For example, your max loss will be three percent of a thousand, 30 in the first week. There’s nothing wrong with adapting that to be 33 if your bank is 11 hundred in the second week. That’s quite a good strategy actually, I feel. 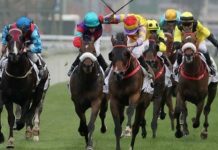 Dave Duffield: For the way you stake your bets, is there any element of the Kelly criterion involved? Do you have more on the bigger overlays, or not? Dan Weston:Pretty much I don’t because my data kind of shows me that there’s frequently an issue that I haven’t picked up between when there’s such a massive discrepancy between model and market. In-play I kind of have, like I said to you, more of a confidence factor, so I’ll stake a lot more when I’ve got four or five metrics going for me. All the things that I’m looking for are in my favor, then I’m going to be staking a lot more. I guess that is a kind of an extra value perspective, so the more value that I see, the more metrics that are in my favour, then I am going to stake more in-play that’s absolutely right. Dave Duffield: Excellent. It’s always good to chat Dan and we always get some good feedback when we have you on this show. 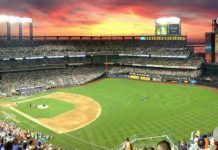 I wanted to just finish up by giving you a chance to mention a conference you’re speaking at next month, being the MatchBook Traders Conference. Dan Weston:Yeah, definitely. We’re at the Emirates Stadium, which is in London. That’s the 14th of October, next month. 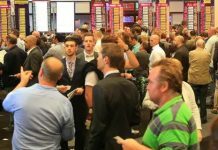 There’s a number of sports bettors and traders and analysts and mathematicians who are all speaking at the conference. Some very high profile names, especially those people who are on Twitter might know quite a few guys like Will Wilde, Matt Piper, Scott Ferguson. There’s some presentations about Brentford FC and analytics in football. Obviously I’m speaking about tennis as well. Yeah, I’m really excited about this, should be a great day and I’m looking forward to it, almost from a learning basis as well as speaking as well. I’m sure that with the quality of presentations that are going to be there, I’m going to learn a hell of a lot as well. 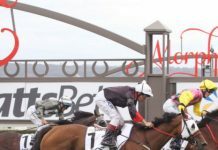 Dave Duffield: Yeah, for sure it looks to be a really good lineup, I’m going to try and make it over there myself, but it is a busy time of the horse racing year, so we’ll see how we go. Appreciate you coming on the show Dan and all the very best. Dan Weston:Cheers Dave, take care.